What is a "Rally Style" tour? Oxotic will have instructors and staff photographers in our lead vehicle (Cayenne Turbo) that set the route for the group, maximizing the overall experience. As a Rally you will tackle the many switchbacks and straight aways our routes provide. All of our tours allow you to add a passenger! For tours exceeding and including 30 Miles, the passenger may also drive. The best of the best right in our backyard. People all of the world come to Yosemite every day of the year! Now you can have the ultimate drive in any of our Supercars with over 1000 turns all the way to Tunnel View to see Half Dome! Put the top down and live life to the fullest when you cycle through 3-4 of our Supercars during this 5 hour drive! This tour will take you through some of the best driving roads that California has to offer, with hundreds of turns all the way to Bass Lake, stopping at Ducey's on the Lake. Drop the top and cycle through 3-4 of our Supercars during this 3+ hour tour. Enjoy tons of twists and turns in this 70 mile tour. You'll get to experience these supercars like never before, cycle through 2-3 of Oxotic's supercars during this 2 1/2 hour drive. Take in every curve and elevation change of Auberry road as you drive by Table Mountain Casino. Select your favorite car to drive for the full length of the tour, or switch driver and passenger halfway at a scenic photography stop. Enjoy 75 minutes of adrenaline in your selected supercar. 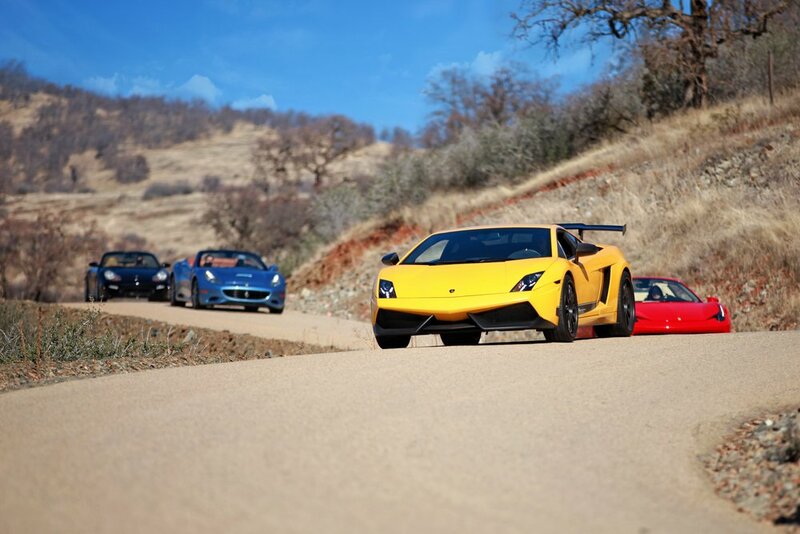 Select your favorite supercar to drive 30 miles up Friant towards Millerton Lake, stop halfway for a photo shoot, leaving you with lasting memories of this adrenaline filled 45 minute drive. your favorite supercar on this 25 minute drive.